Sensaphone is a market leader of affordable, easy-to-use devices that monitor your home, business, vacation home, poultry house, barn, hog housing, horse arena, greenhouse, hoop house, nursery building or computer room for problems such as power outages, temperature fluctuation, water damage and intrusion. In the event that one of the aforementioned issues occurs, the Sensaphone will autodial pre-set telephone numbers to notify you of the occurrence. Remote access also makes it possible to call in at any time with a touch-tone telephone to check the status of all monitored conditions and to make program changes. Sensaphone allows you to detect problems before they become disasters. 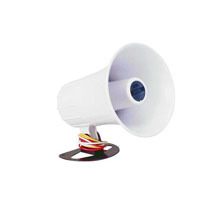 TekSupply offers several Sensaphone models designed to monitor agricultural buildings, livestock barns and greenhouses. Basic models are available as well as more advanced models that include additional features and allow for greater monitoring capability. In many instances using a Sensaphone can result in a reduced rate on your homeowners, farm or business insurance policy. Consult your insurance provider to determine if utilizing a Sensaphone qualifies you for discounted insurance premiums. 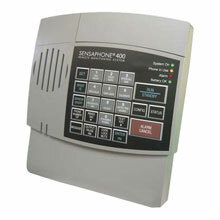 The Sensaphone 400 four channel monitor communicates problems in simple, voice synthesized English. It is designed to work in conjunction with your existing telephone line, and can even share a phone line with your answering machine. 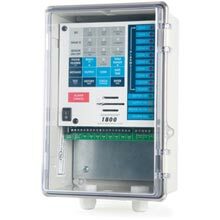 This unit allows you to call in and contact your system for status reports and features an integrated keypad for simplified programming. A built-in microphone is included for listen-in capabilities. The 24 hour battery backup requires six C size batteries (not included). This Sensaphone has programming capabilities for up to 4 alarm inputs and will automatically dial up to 4 different telephone numbers in sequence until acknowledged. The Sensaphone 800 eight channel monitoring system features all of the benefits of the Sensaphone 400 with the added bonus of programming capabilities for up to 8 alarm inputs. The system will automatically dial up to 8 different phone numbers in sequence until acknowledged. This remote monitoring system keep you informed and in control when you're not there. It will monitor and protect remote installations and report valuable information back to you via your touch-tone telephone, preventing costly downtime. The Sensaphone 1400 and 1800 alarm systems provide reliable, easy-to-use monitoring for a wide variety of applications such as greenhouses, vacation homes and animal housing. This cost-effective system offers flexibility while monitoring the most critical conditions. 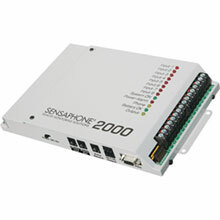 The Sensaphone 1400 will monitor up to 4 conditions in addition to power failure and sound level. It will notify up to 8 people with custom voice calls. The Sensaphone 1800 monitors up to 8 conditions, plus power failure and sound level. It will notify up to eight people with custom voice phone calls or text messages and has web page data display. These systems will review alarm history and who acknowledged the alarm event. Features of these units include automatic input type configuration, scalable range for analog zones, programmable recognition times, internal calibration and built-in alarm test function to simulate and test the notification process. Local access includes a keypad and speaker for local, voice-prompted programming and password protection to restrict access as well as recent alarm history playback. 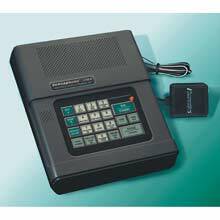 The unit can be accessed remotely by calling in with any touch-tone telephone. Check status of all monitored conditions and make program changes remotely from any touch-tone phone. Includes telephone line seizure and a NEMA-4 enclosure with superior internal lightning protection. The Sensaphone 2000 monitors and reports on up to eight remote, analog or digital inputs, and can send those reports to as many as thirty-two locations. This unit allows you to monitor conditions such as room temperature, outside temperature, power supply, humidity, tank levels, flow rates, pressure and more. Program ranges are available to suit your specific monitoring requirements. It is possible for all programming to be done locally or from virtually any remote location. The Sensaphone 2000 has an amazing array of communication options including phone, fax, e-mail, pager or computer and can store up to 32,000 records. A built-in data logger is included and all data is stored and protected in the system's nonvolatile memory, even during loss of both AC and battery power. Free Microsoft Windows compatible software comes with the Sensaphone 2000 and a comprehensive manufacturer's warranty and responsive technical support are included. We recommend using an Isotel Ultra 4 Surge Suppressor which is sold separately. 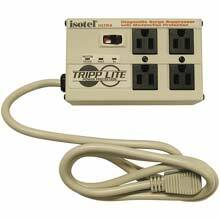 This 110 Volt Surge Suppressor will protect your Sensaphone equipment from lighting strikes and power surges. 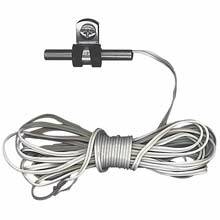 Our security and alarm cable can be used to wire your alarm systems. 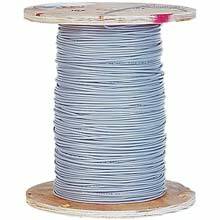 This cable features 22-gauge stranded 2 wire, gray jacketing with 2500 PSI min and a temperature range of -4°F to 140°F. It is sold in 500' rolls. Additional optional accessories include weatherproof sirens and weather-resistant remote temperature sensors that can be connected to any output. I am interested in Sensaphone products but have additional questions. Can you answer them? Yes. We have experts in the poultry, hog, equine, livestock, greenhouse and agricultural fields who can advise you on the best system to meet your needs. Visit Live Help or Contact Us for further assistance with your Sensaphone inquiries.